In our day today life after succeeding in your dream career there is always a history to recall. How did you step foot to where you were? That Is a common question to many when they flash back to their past. 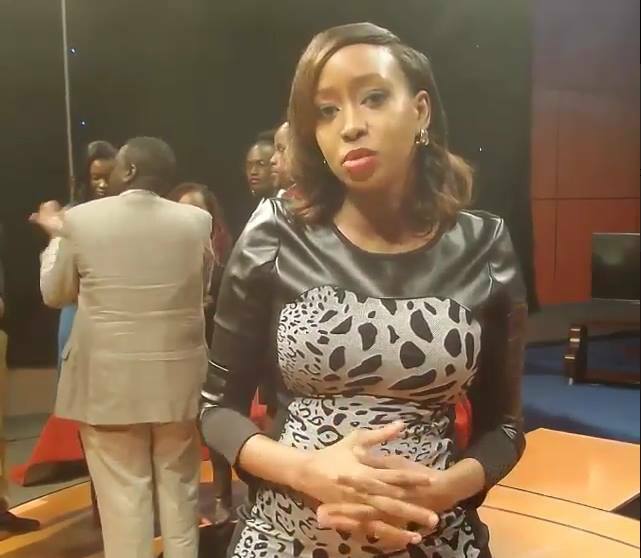 Citizen News anchor Janet Mbugua is one of the most endowed media personalities in the country and not only for her talents in her job but the screen siren is blessed with stunning looks. Janet is one of the media personalities who have risen up the ranks to become a trend setter in the competitive media industry. The petite screen siren took to social media to reveal her ordeal before she set foot in her first job in KTN. According to Janet she was ready to serve as a tea girl in KTN studio as long as she could get an opportunity to get at least a job for herself. However today things are not the same today as she is one of the highly paid positions in the media industry thanks to her persistence and hard work.